We offer real value and excellent customer service and we create an itinerary that is suited to your needs in terms of budget, goals and interests. Our friendly and experienced driver-guides are fully prepared to provide you with a memorable and outstanding Safari. You are in the hands of knowledgeable professionals. The beautiful and pristine white sand beaches of Zanzibar’s islands offer the warm Indian Ocean’s turquoise waters – ideal for relaxing in the sunshine and getting away from it all. COME AS A CLIENT LEAVE AS A FRIEND! Tanzania is one of the unique destinations on the African continent that has yet to be discovered by many. It is a land of many wonders having an un-paralleled diversity of flora and fauna. 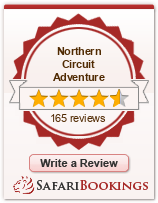 "Welcome to Northern Circuit Adventure"
Northern Circuit Adventure has been providing ground handling services to the travel industry for quite some time. Its impact has been felt in the whole East Africa region due to the quality of services rendered, efficiency and reliability. The company has the ability to handle small as well as large groups of clients, and all will receive the same level of attention to details. Tanzania offers excellent wildlife viewing. There are three different safari circuits and each one of them alone would make Tanzania a great wildlife destination. Our Guide provides all you need to know to get to the top of Mount Kilimanjaro. See how you can prepare for success and live the dream. Tanzania's people are made up of many ethnic groups, but there is a strong pride in the nation as a whole and its culture. Walking Safaris are for those who love the outdoor-world and would like the experience of trekking.These can be incorporated into a regular safari. Giving one a break from the long-hours driving on those ever bumpy roads! Customizable Budget Camping/Lodge , Mid-range & Luxury tours that can depart every day! NCA © 2018 Northern Circuit Adventure (T) Ltd. All Rights Reserved.